CHICAGO (Legal Newsline) - An Illinois resident is suing a shipping and delivery company over claims it made unauthorized calls to consumers' telephones. Najeh Abdallah, individually and for all others similarly situated, filed a class-action lawsuit April 1 in U.S. District Court for the Northern District of Illinois Eastern Division against FedEx Corp., alleging violations of the Telephone Consumer Protection Act. 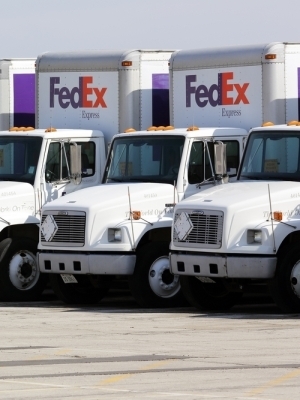 The suit states FedEx made unauthorized automated delivery notification calls to consumers throughout the U.S. As a result, recipients of these calls allegedly suffered aggravation and invasion of privacy and incurred costs for receiving the calls. Abdallah and others in the class seek a jury trial, injunction, actual and statutory damages, and attorney fees and costs. They are represented by attorneys Eugene Y. Turin, Myles McGuire and Paul T. Geske of McGuire Law in Chicago.